The fictional newscaster is back — and for his first podcast episode, he's talking about true crime. By the beard of Zeus, everyone's favourite TV newsman is back — in podcast form. Not content with his regular job at KVWN Channel 4, or with being the star of Anchorman: The Legend of Ron Burgundy and Anchorman 2: The Legend Continues, Ron Burgundy is giving another medium a whirl. Announced late in 2018, The Ron Burgundy Podcast is now staying classy on the iHeartRadio platform. His new show released its first episode on February 7, and will drop new instalments each Thursday. In total, two 12-episode seasons on their way, with the second batch due to hit mid-year. Yes, it's kind of a big deal, as is the fact that Will Ferrell reprises his role as the fictional San Diego newscaster. The entire show is co-produced by Funny or Die, which Ferrell co-founded, so it was always likely that he was going to be involved. 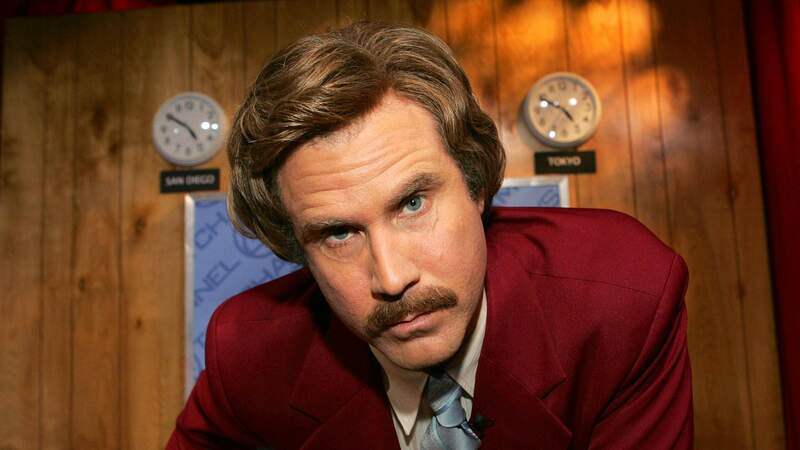 While The Ron Burgundy Podcast could've just featured the anchorman chatting while sipping scotchy scotch scotch and talking over his beloved dog Baxter, that's not the finished product. Rather, the character tackles a different topic each week, starting with a subject that no one can get enough of: true crime. Serial, this isn't — but If you've ever wanted to unlock Burgundy's glass case of emotion about the Zodiac Killer, all of your favourite true crime binges and whether obsessing over the genre is a little bit creepy, now you can. In true Ron Burgundy style, he had some words about his new venture. "Listen, I don't know what a podcast is, but I currently have a lot of time on my hands and a lot to talk about. I am also broke. Therefore, I am very excited to do this podcast. It is literally saving my life." The first episode of The Ron Burgundy Podcast is now available on iHeartRadio, with new episodes dropping every Thursday.